Registration for Russia’s first online course in science communication has begun on Thursday, July 21st. The concept and the curriculum of this Massive Open Online Course (MOOC) has been developed by the “Lektorium” project and ITMO University in cooperation with Russia’s leading scientific journalists and science writers, as well as PR-specialists. The projects organizers believe that advanced knowledge in this field will be beneficial not only to media representatives or press-service staff, but to scientists and students as well. Participation in the course is free. The course is comprised of two modules: the first one concentrates on science journalism and the second – on science PR, and offers an in-depth approach to several relevant topics, such as writing news articles and long-reads, working with media, experts, etc. The students will learn of the current state of science journalism, new approaches to using media for the promotion of science, and will be taught the basics of organizing science events. The video lectures for the course were created with the help of reputed science communicators such as Egor Zadereev who has a Ph.D. in biology, is a science writer and blogger and also Scientific Secretary at the Institute of Biophysics SB RAS; Alexandra Borisova who has a Ph.D. in Chemistry, is the founder and head of popular scientific web-portal chrdk.ru (TASS) and founder of Moscow Institute of Physics and Technology press service; Olga Dobrovidova scientific and ecological journalist, author for GEO, Colta.ru, N+1, chrdk.ru, Russia Beyond the Headlines; and Ilya Ferapontov co-founder of scientific editorial office of RIA Novosti, press secretary of the Fund for Infrastructure and Educational Programs. “Every member of the academic staff is either an outstanding scientific journalist or a successful PR specialist working for a research establishment – or both. 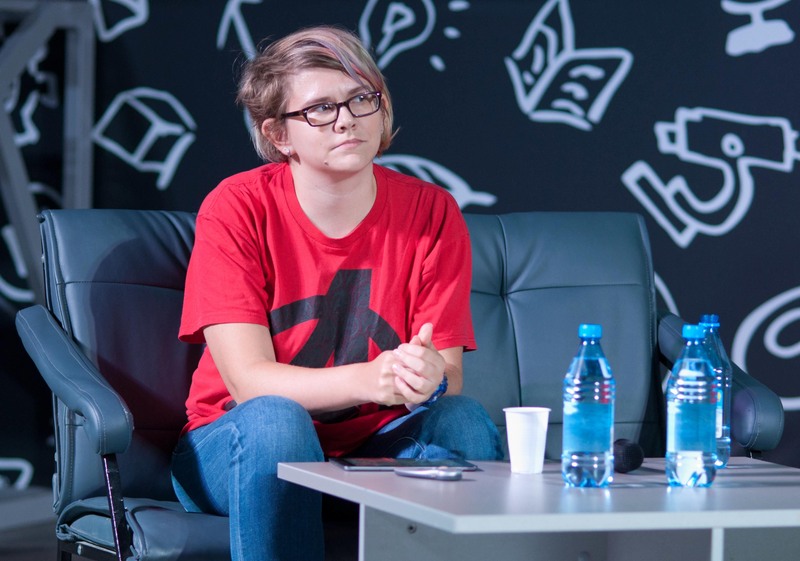 For instance, Alexandra Borisova and Ilya Ferapontov have changed their professions several times during their careers”, - explains Dmitry Malkov, Head of the Center for Scientific Communication at ITMO University. The MOOC was based on Russia’s first science communication course “Mission SciComm”, which took place in the autumn of 2015. That course was slightly different – its main goal was to give sight of career opportunities in the science communication field and to teach its basics. The current course is set on teaching practical skills. Thus, the single-week modules of science journalism and PR from the previous program have been extended to a full six weeks. “The course should prove beneficial for both experienced scientists and future researchers – undergraduate and postgraduate students. It’s not only that presenting one’s research results to the general public has become an essential part of a scientist’s work but by learning the basics of science communication, it can help scientists better understand the work of scientific journalists and PR-experts, and, therefore, save lots of time and energy when collaborating with such specialists. As for young people who are still choosing their future career path, this course offers a priceless opportunity to learn about our work straight from the source”, - believes Alexandra Borisova, MOOC’s curator and lecturer. The first part of the course, led by Olga Dobrovidova and Ilya Ferapontov, is focused on scientific journalism. During the first lessons, the students will be taught about the past, present and future of the profession – “from Herbert Wells to robots capturing the universe”. They will also improve their skills of writing long-reads and learn to prepare complex multimedia material. “I really want to talk with the students about such topics as the ethics of journalism in general, and also of course science journalism, and how the Internet changed our profession. Discussions on subjects such as these often bring out new ideas and new knowledge. I’m really interested in what kind of people will participate in this course, and why. Some of them will become my future colleagues so I want to know their motivation, their areas of interest. And I look forward to the scientific long-reads they will create – I like reading interesting texts as much as I love writing them”, - says Olga Dobrovidova. Any person who loves scientific and pseudoscientific stories can apply for the course – simple interest in science combined with a certain set of skills learned from the course can become a foundation for a new profession. Full-fledged science bloggers will get a chance to perfect their skills. As for scientists, the course offers an opportunity to look at science from a different perspective – that of the science journalists, who sometimes turn everything upside down, and PR-specialists, who often bore them with stupid questions – as well as to try themselves writing interesting scientific texts for a wider audience. “I’ve spent a lot of time looking for potential journalists, and I know that a person who is good at writing news is a rarity, a catch. I want to help such people to be “discovered”. As for the general purpose of the course, it is focused on maintaining trust and common ground between scientists, journalists and PR-specialists”, - adds Ilya Ferapontov. This module is split into three parts. First of all, it is necessary to understand what science communication is all about – believes Egor Zadereev, one of the lecturers. Then the students will try to categorize them, and also learn about a science communicator’s responsibility towards scientists and the general public. Then they will learn about rules for offline interactions with the media and general public. The third part of the module is focused on studying possible mistakes and potential stumbling blocks in the work of a science communicator. “The distinctive feature of our module – as well as the course in general – is that it is based on the author’s practical experience. This means that the students will study real problems and methods, not just theory. 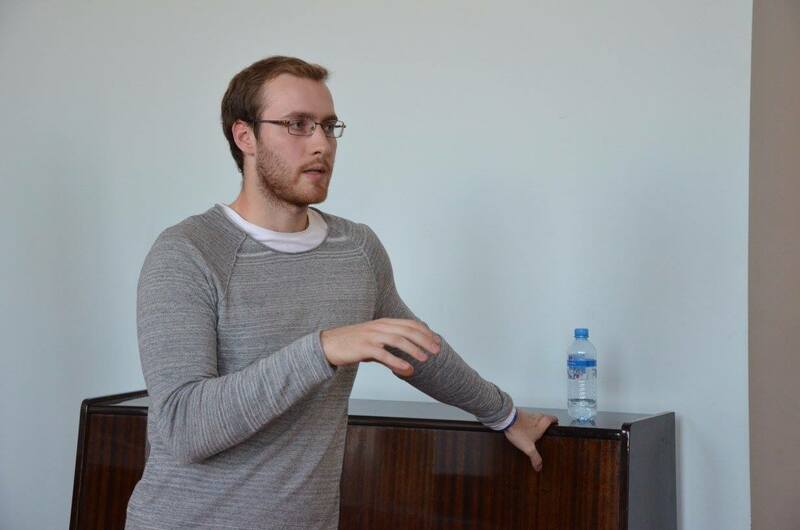 It is also important that such topics as responsibility and ethics in science communication or the future of scientific journalism are brought up during the course – they may still not be pertinent in Russia, but are widely discussed in the current scientific community”, - explains Egor Zadereev. Home assignments and practical tasks for this module focus on solving potential problems of a communicator’s work, analyzing information from social networks or news sites, and acquiring the practical skills of a science communicator. 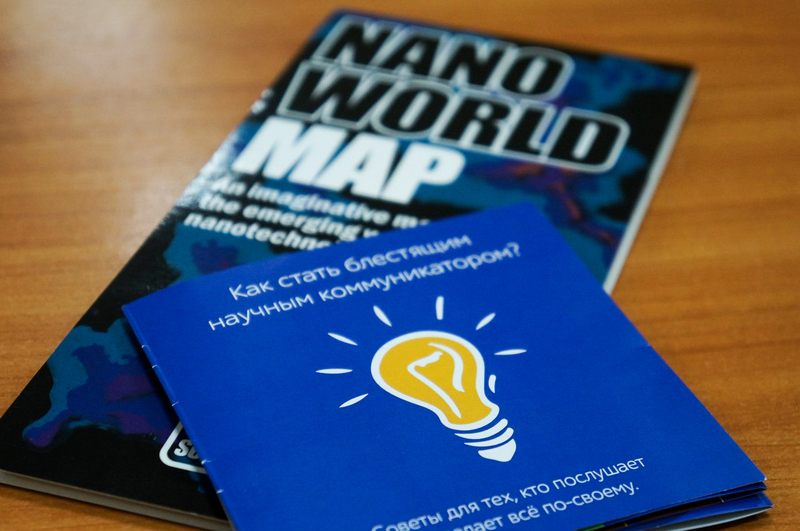 Egor Zadereev also explained why the course will be useful to scientists – in his opinion, science communication is most effective between a scientist qualified in communications and a PR-specialist familiar with science. The other reason is that lately both science foundations and state institutions have been raising their requirements in this field. Although hiring separate specialists is always an option, when there is a limited budget, it is useful to have scientists with such extra knowledge and skills. The course is open to everyone, and there is no registration or participation fee. Still, one will have to pay for the certificate that proves the successful completion of this MOOC. Details can be found on the course’s website.